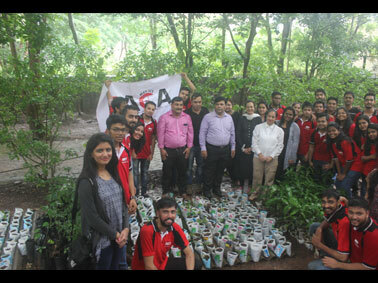 With a view to fight against Global warming and create mass awareness about the importance of an ecological balance Tree Plantation Drive was organized by the students and faculties of MET Institute of Computer Science on 4th Aug 2018 in association with NGO - Hariyali Foundation at Biodiversity Park, Thane. Students zestfully participated in the preparation of Saplings, digging the soil and planting 250 seedlings successfully. 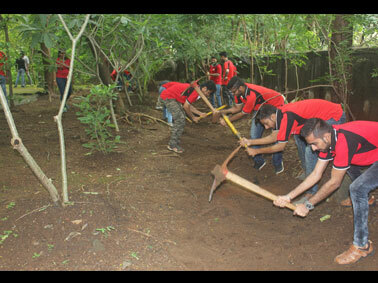 This effort has also been recognized in one of the renowned Marathi newspaper Sakaal. The programme created great enthusiasm among the participants and general public with the novel intent of increasing the green cover of this beautiful city.